West Ham defeated Newcastle today 0-3 at St. James’s Park, in a Saturday afternoon Premier League match to open an optimistic December for the Hammers. Goals by Javier Hernandez and Felipe Anderson started the West Ham holiday season in good fashion. Newcastle entered the week on a three match league win streak, while West Ham was coming off an embarrassing home loss to top-of-the-table Manchester City at the London Stadium. The visiting club was happy to have both Andy Carroll and Jack Wilshire available after they spent much of the season recovering from surgeries. Wilshire did feature late in the match. 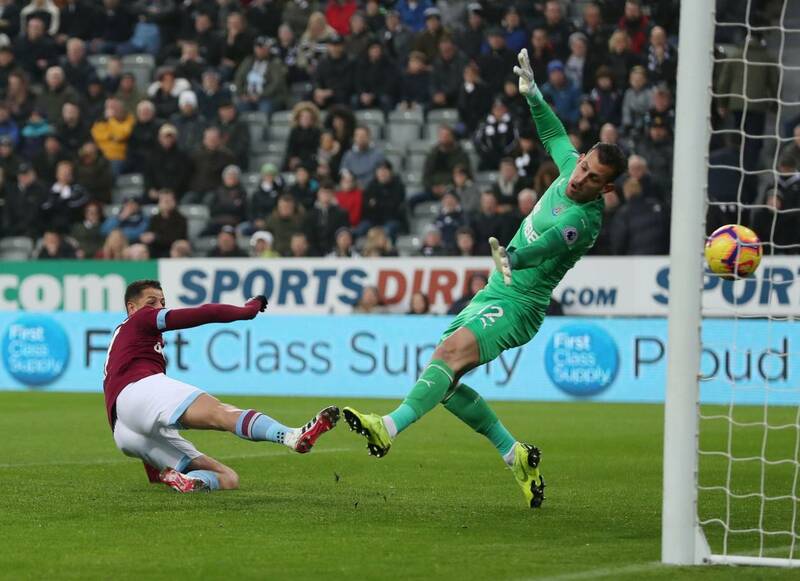 Early in the opening half it was Robert Snodgrass running down the right side channel and he executed a beautiful cross into the area, allowing Chicharito to score on one of his signature strikes from only six yards out. Nursing a one goal lead for the entire half, the hosts had a number of opportunities. Ayoze Pérez found himself behind the defense a number of times but the Spaniard couldn’t connect in any of his chances. The first half featured a flurry of questionable bookings. Both Snodgrass and Mark Noble were given yellow cards on questionable decisions by Paul Tierney. No changes were made during the break and the Hammers finally found their second goal early in the second half. In the 63rd Declan Rice passed forward to Marko Arnautović who was able to flick it onto Chicharito. After a few missed shots earlier in the match, Hernandez shot it low into the net past Dubravka for the brace. Aaron Cresswell had a very well-played afternoon; however he picked up a hamstring injury and was replaced. Anautovic also played with lingering pain from last week’s City match. He wasn’t his usual self and was replaced by Obiang late in the day with only one assist on the day’s score sheet. West Ham was content to slow-play the final 15 minutes. Newcastle had some great opportunities, but the end of their three match winning streak seemed certain. During the final minutes of the stoppage time, Felipe Anderson broke free on a counter attack. Finding himself one-on-one with Dubravka, his strike gave the Hammers a 0-3 win, and kept Manuel Peligrini undefeated against the Geordies. December, as usual, is a full schedule of Premier League fixtures. However for West Ham, this is their best chance to make moves up the table. With nine matches in 32 days, and none of them are against the traditional top six clubs, there are 27 points available if the team can stay fit and stay sharp. Managing the fitness and minutes played of his players will truly be Pelligrini’s biggest challenge this December. The gaffer has made it clear he wants another defender in the January window. Hopefully the current roster can hold up over the next eight matches. West Ham’s next appearance will be a Tuesday evening meeting against Cardiff City. Keep checking TheWestHamWay.co.uk for the latest transfer news.